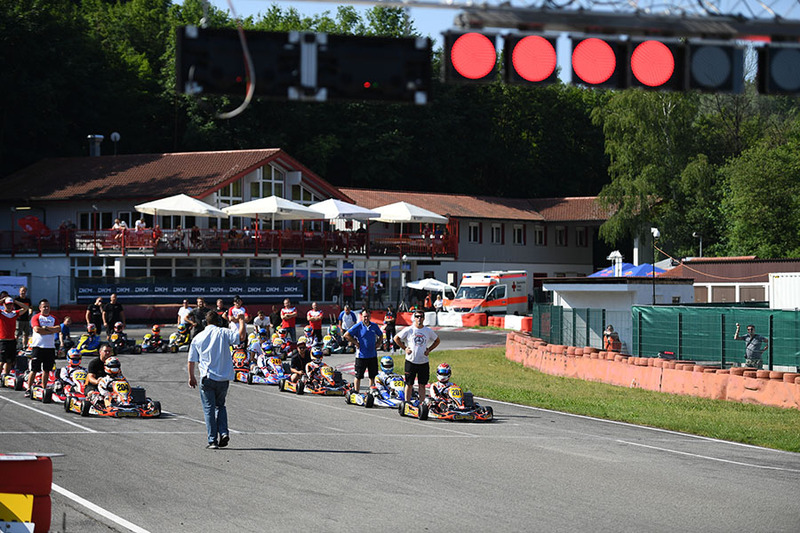 165 participants started at the half-time races of the German Kart Championship in Ampfing last weekend. In midsummery temperatures, the drivers, teams and spectators experienced hot races with two double winners. Things continue to be exciting in the individual classes. The two racing days in Ampfing were accompanied by an extensive live-stream as well as numerous highlight clips on social media. The best scenes from Ampfing can be viewed again on June 17 at 12:40pm in a 30-minute DKM-magazine on MOTORVISION.TV. The DKM is now going to take a small summer break until the next race on the traditional Erftlandring in Kerpen. The crucial phase of the fight for the 2018 title is going to take place in eight weeks from July 27-29.